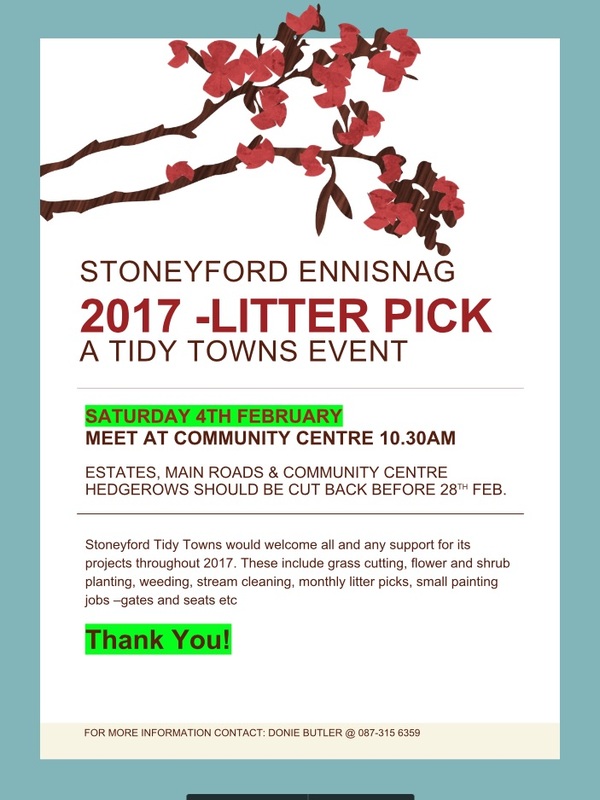 Thankfully the weather is looking good for our first Litter Pick of 2017. Please meet up at the Community Centre on Saturday 4th at 10.30am. If you have a high viz-jacket, gloves, picker bring them with you. We have some spares and bags. Do wear appropriate footwear. Look forward to seeing you.